William E. McLellin was born January 18, 1806, in Smith County, Tennessee, the son of Charles McLellin. His mother Sarah was a Cherokee Indian. His name is spelled M'Lellin in various historical documents, but in a 1871 journal of his, he spells his name McLellan. He married for the first time Cynthia Ann (maiden name not known) on July 30, 1829. His wife, however died young and he was a widower by 1832. McLellin was a school teacher in Paris, Tennessee, during 1831. It was in that year that he was first contacted by Elders Harvey Whitlock and Sidney Rigdon. Enthused by their message, he traveled to Independence, Missouri, to learn more about the gospel and meet the Prophet Joseph Smith but missed seeing the Prophet. Nevertheless, he was baptized in Independence, Missouri, on August 20, 1831. He was ordained an elder four days later on August 24, 1831 by Hyrum Smith and Edward Partridge. Two months later he was ordained a high priest by Oliver Cowdery at a conference of the Church. McLellin was instructed to take a mission to the Eastern States with Samuel H. Smith. McLellin preached in Pennsylvania, but his mission was short-lived because of disobedience and sickness. The Lord, however, is long-suffering and again appointed McLellin by revelation received on January 25, 1832, to preach in the Southern States. He traveled as far as Middlebury, Ohio, where on February 25, 1832, he preached a sermon. He did not continue on his mission because of illness but remained in Ohio until April 26, 1832, when he married Emeline Miller in Hiram, Ohio. The couple had three known children. McLellin left Ohio for Independence, Missouri on May 2,1832, arriving in Independence on June 16, 1832. His property in Clay County was looted in 1833. He served mission to Missouri and Illinois with Parley P. Pratt from January to June 1833. He was appointed a high councilor in Clay County July 7, 1834, but was appointed to return to Ohio with Joseph Smith in July 1834. Arriving back in Kirtland, he taught in the School of Elders. 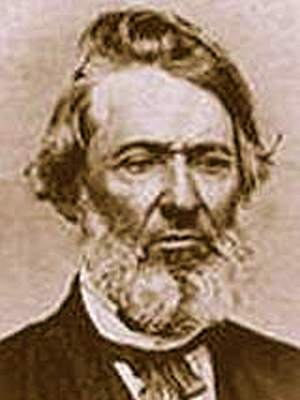 McLellin was ordained an Apostle on February 15, 1835, the only member of the original Twelve of the restoration who was not a veteran of Zion's Camp. Nevertheless, by summer of that year, he had been disfellowshipped for an insult which he had leveled at the School of the Elders and the way which Joseph and the Brethren had conducted said school. After a full confession and evidence of repentance McLellin was restored to full fellowship. Still the spirit of rebellion afflicted him and he expressed a loss of confidence in Church leadership in 1836, even writing a letter of withdrawal from the Church in August 1836. and publicly opposed Church leaders on May 11, 1838, in Far West, Missouri. "While Joseph was in prison at Richmond, Missouri, Mr. McLellin, who was a large and active man, went to the sheriff and asked for the privilege of flogging the Prophet; permission was granted, on condition that Joseph would fight. The sheriff made McLellin's earnest request known to Joseph, who consented to fight, if his irons were taken off. McLellin then refused to fight, unless he could have a club, to which Joseph was perfectly willing; but the sheriff would not allow them to fight on such unequal terms." This vile apostate attempted to organize a new Church in Kirtland in January of 1847. He failed. He joined the Hedrickites on June 5,1869, but failed to find there that which he sought. He left the Hedrickites November 3,1869, and associated with other factions organized under leadership of George M. Hinkle, William Law, Sidney Rigdon, James J. Strang, and David Whitmer. He finally broke with all organized religion. His wife joined the Reorganized LDS Church (now Community of Christ) and the family moved to Independence in 1870. William E. McLellin, apostle and apostate, died in Independence, Jackson County, Missouri, April 24, 1883, and is buried in Woodlawn Municipal Cemetery of the same city. Susan Easton Black, Who’s Who in the Doctrine & Covenants, pg. 190-193. ↑ William E. McLellin, The Journals of William E. McLellin 1831-1836, p. 33. This page was last edited on 13 October 2018, at 14:49.